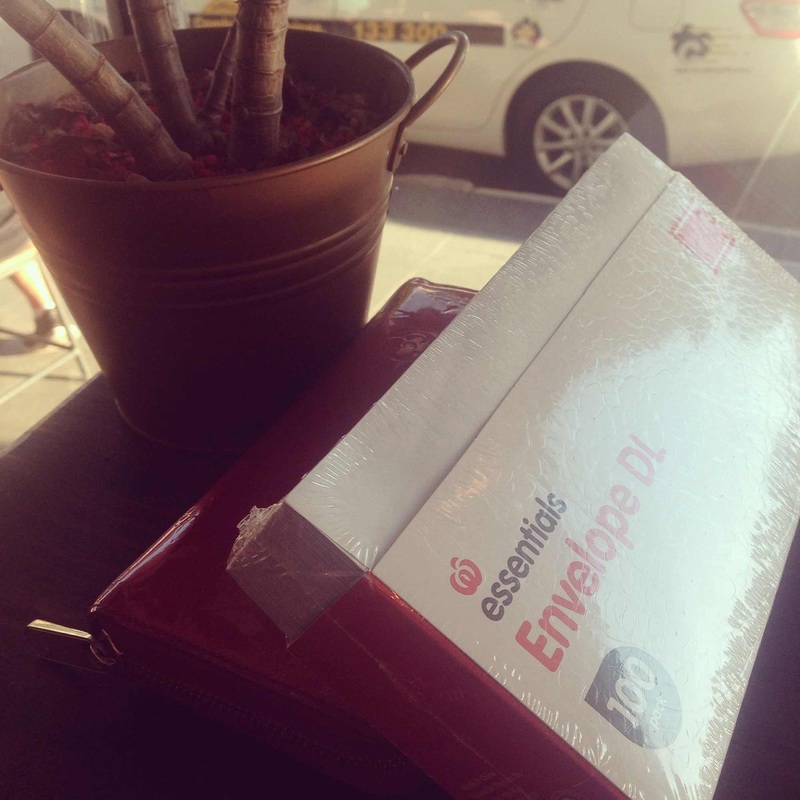 Sydney Shop Girl: Friday Afternoon Fatigue. 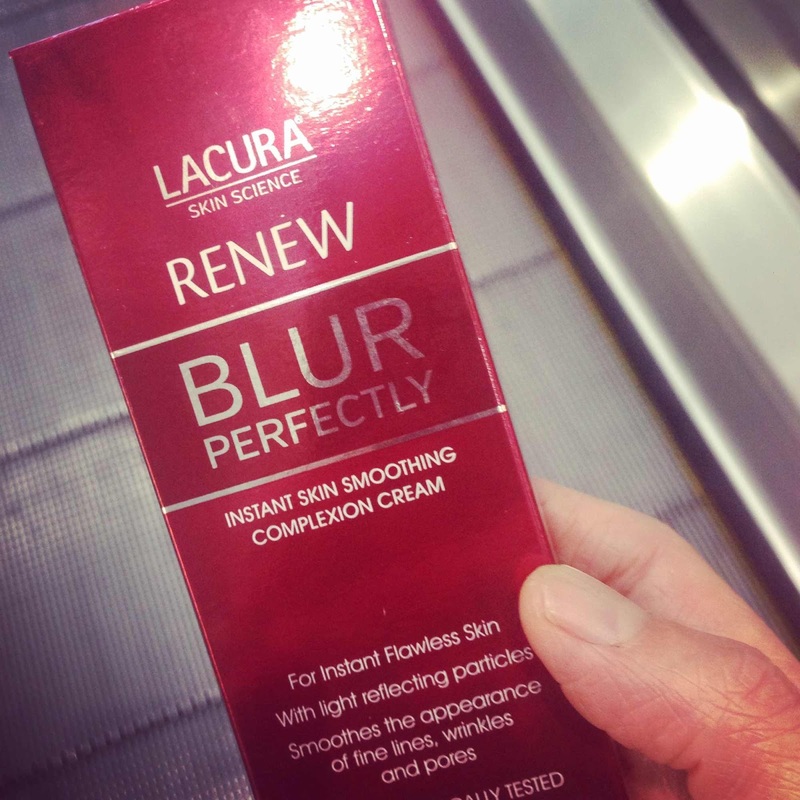 A Blurry Show Down - Blur Perfectly by Aldi v Magic Blur by L'Oreal. Friday Afternoon Fatigue. 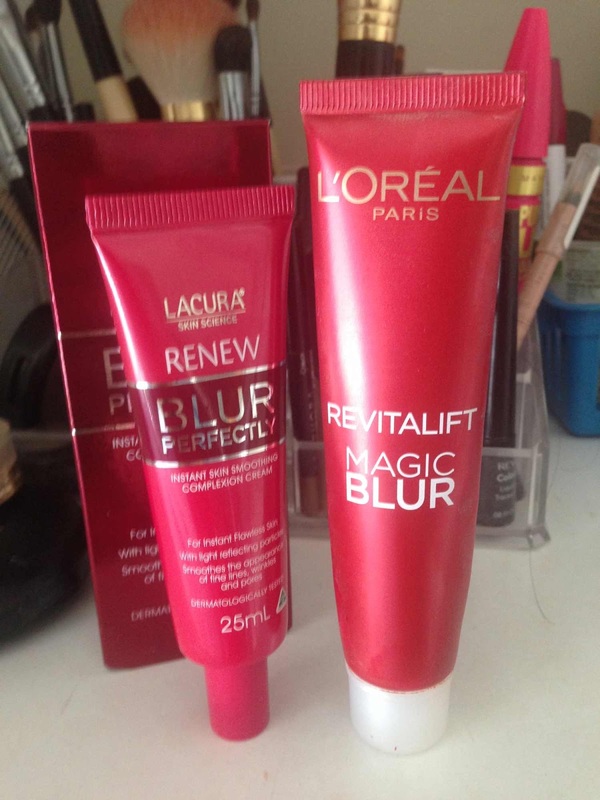 A Blurry Show Down - Blur Perfectly by Aldi v Magic Blur by L'Oreal. Don't you love it when life imitates art? 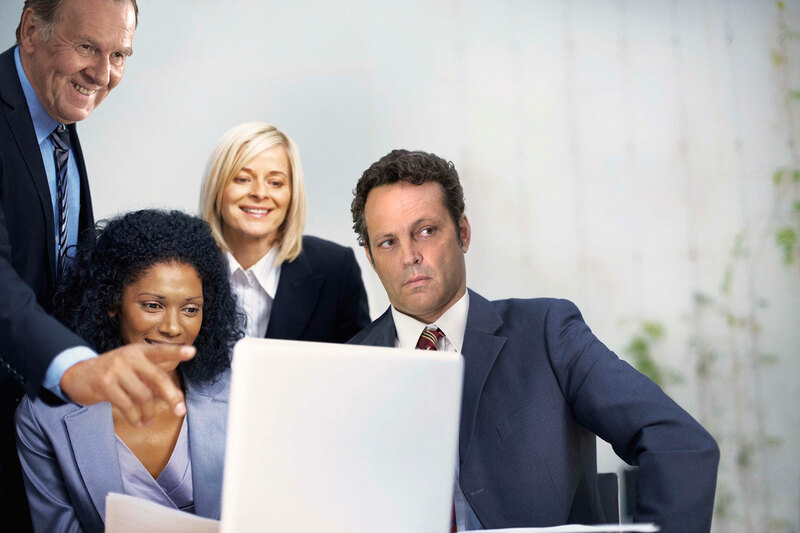 I've spent the afternoon in the world of Vince Vaughn's classic stock photos. You know how it is with mandatory online training for work. Sure there is a lot of valuable information packed into each e-learning unit but don't the stock photos used to liven up proceedings make you want to cackle out loud in the middle of a room full of other people doing the same module on their desk tops? I'm blaming intense sleep deprivation for this but after the fifth slide (of forty seven), Vince's head started to project itself onto the torso of every model smiling brightly out at me from each five bullet point training slide. But I got there in the end. At least for now. I think I have another 15 training sessions to complete by the end of next week. If one of the module authors actually uses a Vince stock photo in their content, I'll be beside myself. But yes, in case you did ask, I am so happy it's Friday. It's been a busy and tiring week and I'm looking forward to a few sleep ins now that the mornings are cooler and darker. I put the yay into Friyay with this pretty frock from Brooks Brothers' outlet in Orlando. Statement necklaces may not be part of the Brooks Brothers aesthetic but I love how they work (for me) with the summery colours at work in this fabric. I'm making the most of these last sunny and warm days of autumn by wearing as much colour as I can. For my Friyay face, I tested out Aldi's Blur Perfectly blur cream. How could I not rush out and get this special buy when a 25 ml tube costs $9.99 versus the $24.99 for a 30ml tube of L'Oreal's version? I was surprised that both tubes contain almost the same volume of product given how small the Aldi tube appears in comparison. Here's my take on a comparison of the two. - Aldi's is less drying which also means that it leaves my skin looking a bit dewy and pore heavy. This may defeat the purpose of a skin perfecting lotion but could also be a useful property over the winter. - as an extension of the above, my skin feels a different kind of velvety smooth when wearing the Aldi. Think peach skin in one corner and a sofa newly upholstered in velvet brocade in the other. Interesting skincare analogy for a cosmetic review but it's Friday and I'm sleep deprived and have come off hours of work training modules at the time of writing. - my make up looks 'fresher' as opposed to the 'close but not perfect' finish that I get with L'Oreal. - just as well I bought two tubes yesterday. Blur Perfectly was the first Aldi skincare product I've ever tried and I'm pretty impressed with the performance. I've seen their caviar line as a special buy every once in a while and based on this positive experience, I'm in. And just like that, the weekend is here - cue comfy clothes, bare feet and the ever seductive seat of my sofa. 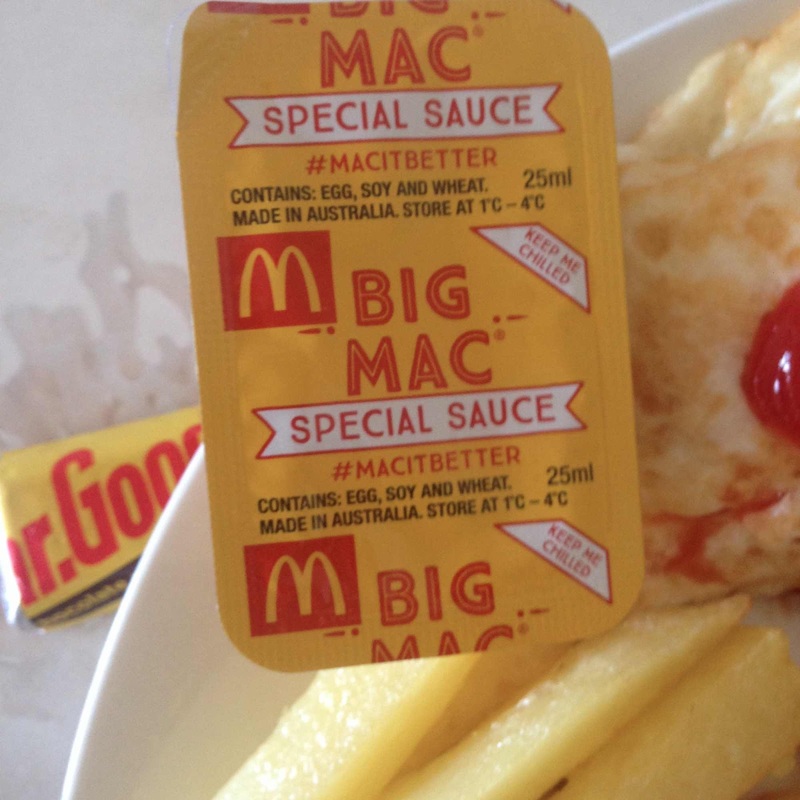 Though I might just get out of the house and down to Maccas in search of another tub of Big Mac Special Sauce. It's the just the thing with home made chips and, rather perversely, fresh tomato slices. 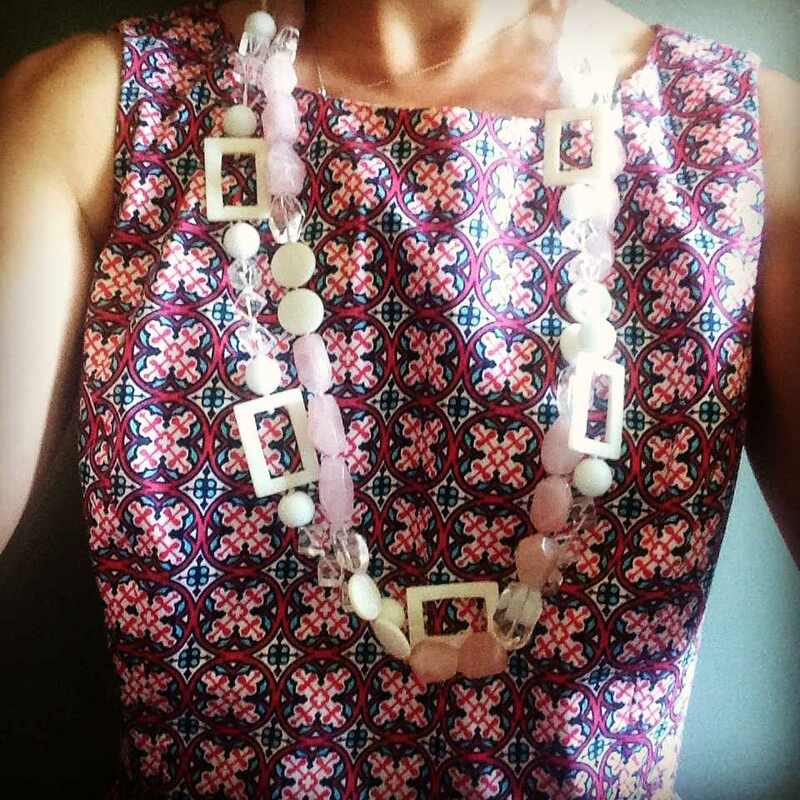 Love the dress and necklaces together - gorgeous! Hey there…!!! Well this post is really informative and I have learned quite things and ideas from this post. Thank you so much for sharing this post. I wish if I can get some more post like this.